WHAT IS CONE BEAM COMPUTED TOMOGRAPHY (3D)? Cone beam computed tomography, or CBCT, is a variation of the traditional computed tomography (CT) used in medical environments. 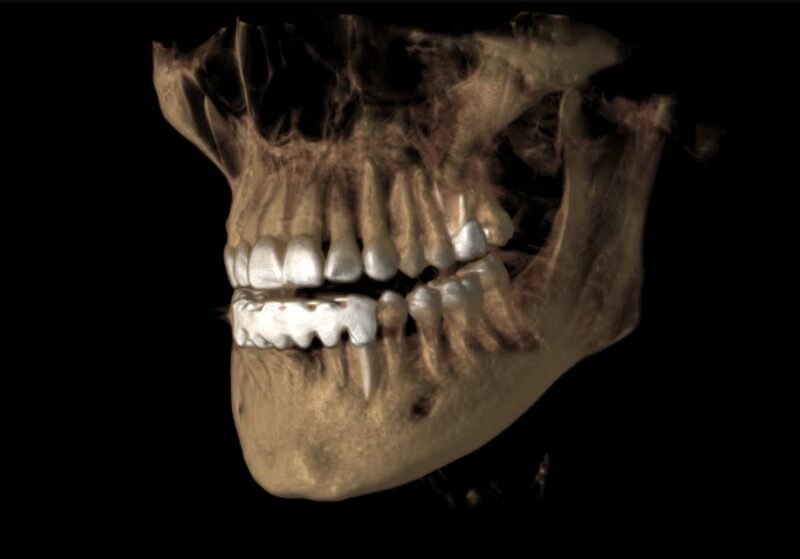 The CBCT system used in our practice captures information using a cone-shaped X-ray beam, which is then used to reconstruct a 3D image of the area of interest. The CBCT scan captures all the anatomy in one single coneshaped beam rotation, subjecting the patient to 10 times less radiation exposure. CBCT offers higher resolution, sharper images, and better metal artifact reduction compared to medical CT. Medical CT machines rotate around the patient’s head several times to collect adequate information—resulting in overlapping of radiation. 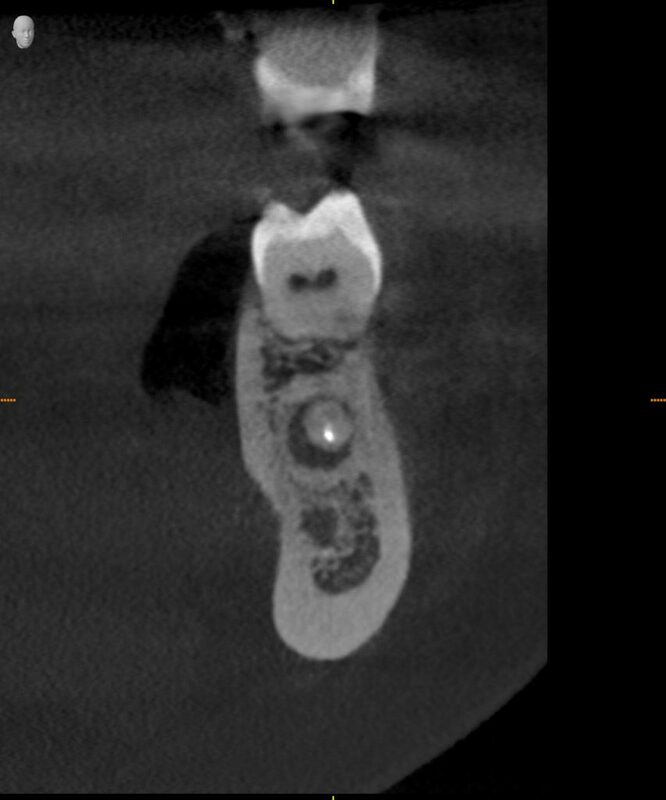 CBCT is useful in a variety of diagnostic situations, including but not limited to oral surgeries, implant planning, TMJ analyses, airway studies related to sleep apnea, impacted teeth, periodontal diseases, and endodontic anomalies. The high-resolution 3-D images allow practitioners to more accurately visualize internal anatomy, assess risk, and plan treatment and surgery. The scans can be used to assess bone quality, which is essential to evaluate if there is a sufficient amount of bone for implant placement, and utilized to quickly identify the size and location of a lesion. CBCT can also be helpful in orthodontic analysis, including the detection and localization of airway problems and skeletal asymmetries. By comparison, 2-D images (traditional xrays) show only the length and breadth of the anatomy with distortion. 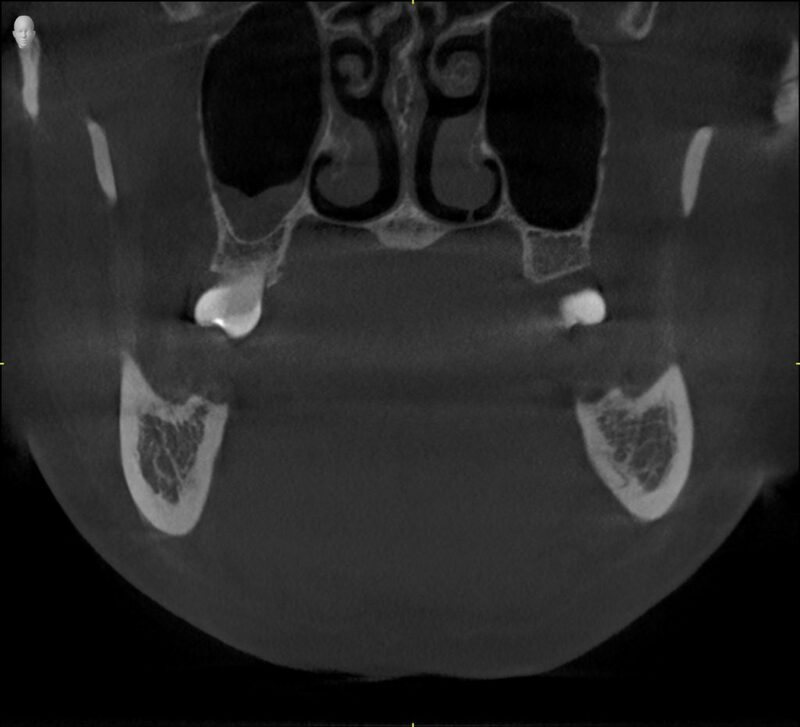 CBCT adds depth, thus giving the clinician multiplanar views of the volume. This further improves diagnostic abilities and reduces the need to take multiple X-rays. The 360° model of the patient that results from the CBCT scan can be rotated, and slices can be isolated and manipulated for analysis. 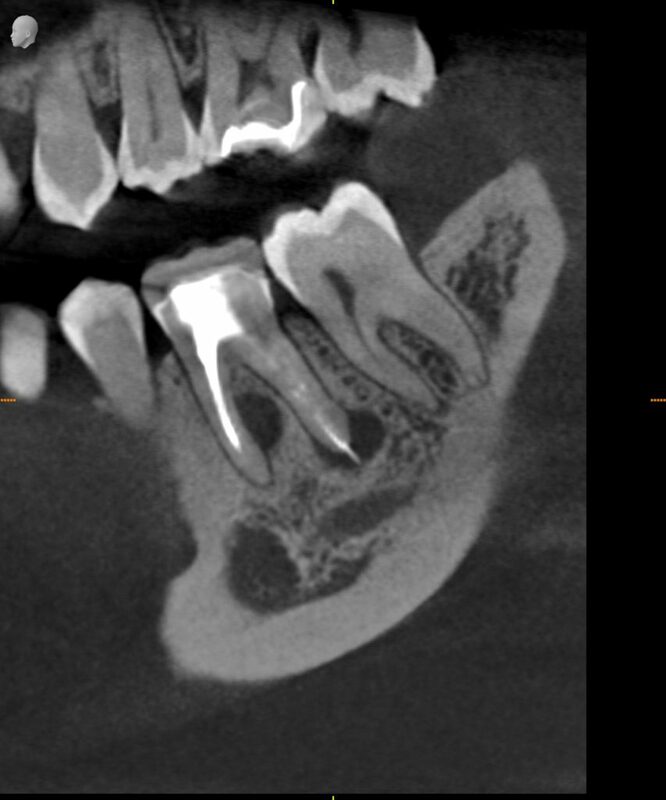 CBCT imaging offers a tremendous advantage compared to 2-D radiographs since practitioners must compensate for superimposition and distortion often present in 2-D radiographs.